Depop, the shopping app that is a cross between Instagram and eBay, might be largely aimed at teenagers, but it's not just a place for buying Hadid crop tops and tie-dye bum bags. The app is mainly used by teens and 20-somethings buying and selling secondhand and vintage clothes, but it's also become a platform for fashion entrepreneurs, making it the perfect place to assemble a unique wardrobe. Depop is targeted at those who don't want to wear the same Zara pieces as everyone else, and you can find vintage classics as well as novelty Insta-bait pieces. 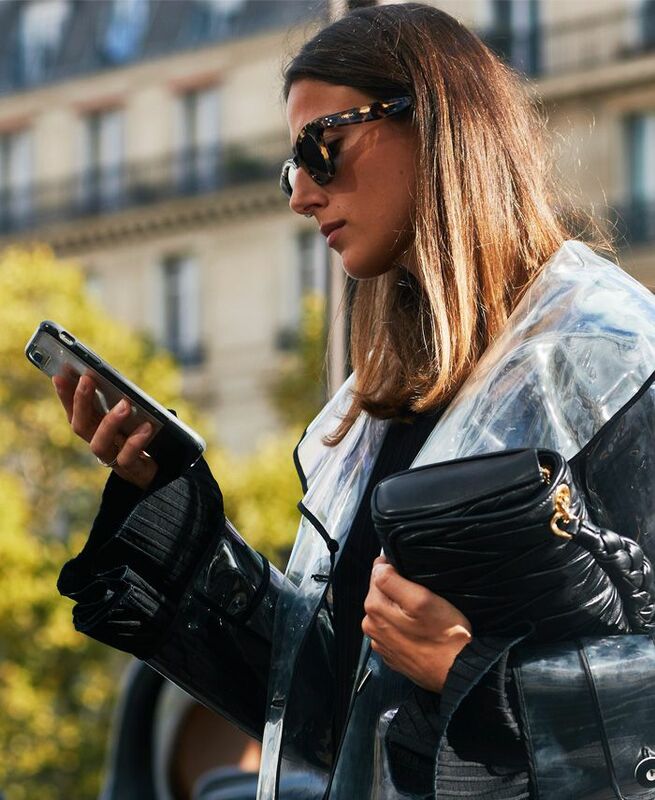 When you first download Depop, it might seem overwhelming, however, these six steps make shopping for vintage online easy. You easily can get lost in a scrolling hole on Depop just like Instagram, and we find that it helps to think of Depop like a shoppable Instagram. When using the app, it pays to hop around different users and pages because you never know what gems you'll stumble upon. Depop has a separate Instagram account @depopcommunity, which introduces you to cool sellers. Users tag things they are selling with @Depopcommunity, and then Depop reposts the best, meaning it is a curated shopping list. Lots of fashion influencers use Depop and link to them on their Instagram page or use the same handle, so be sure to look for your favourites. Brittany Bathgate has one of our favourite seller pages, which includes By Far shoes and beautiful midi dresses. If you always have specific things you want and can picture them in your head but you can never find them online, Depop is the perfect place for you. Instead of broad searches like "jumper," it often helps to search for specific items like "vintage Ralph Lauren cricket jumper" or "pale yellow cable-knit cardigan." If you put "vintage" before any of your searches, this often gives higher-quality items. Depop also has a specific Instagram account for vintage called @vintagedepop to help you discover amazing vintage sellers. If you're looking for a pair of Mango boots that sold out or a Zara dress from two years ago and you know the product name, use it. Often sellers will list items like this with the product names used on the brand's own sites. Next up, the high-street jeans that look and fit like expensive pairs.